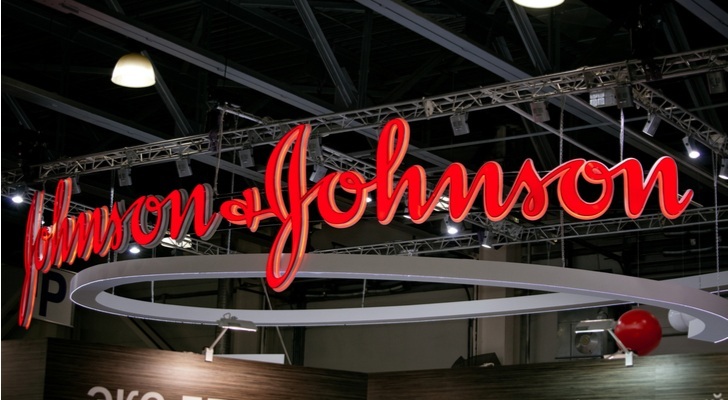 Johnson & Johnson earnings for the first quarter of 2019 have JNJ stock up on Tuesday. Johnson & Johnson (NYSE:JNJ) starts off its earnings report for the first quarter of the year with earnings per share of $2.10. This is up from the company’s earnings per share of $2.06 from the same time last year. It was also good news for JNJ stock by beating out Wall Street’s earnings per share estimate of $2.04 for the quarter. Net income reported in the Johnson & Johnson earnings release for the first quarter of 2019 comes in at $3.75 billion. This is down from the company’s net income of $4.37 billion reported in the first quarter of 2018. The Johnson & Johnson earnings report for the first quarter of the year also includes revenue of $20.02 billion. The company’s revenue from the same period of the year prior was $20.01 billion. Analysts were looking for JNJ to report revenue of $19.61 billion for the period. The most recent Johnson & Johnson earnings report also includes its outlook for the full year of 2019. JNJ is expecting earnings per share for the year to range from $8.53 to $8.63. It’s previous outlook for the period was earnings per share between $8.50 to $8.65. Wall Street is estimating earnings per share of $8.58 for the full year of 2019. When it comes to revenue estimates for 2019, Johnson & Johnson is expecting it to come in between $80.40 billion and $81.20 billion. This is the same as its previous revenue guidance. Analysts are expecting revenue of $81.05 billion for the year. JNJ stock was up 1% as of noon Tuesday. Article printed from InvestorPlace Media, https://investorplace.com/2019/04/johnson-johnson-earnings-boost-jnj-stock/.